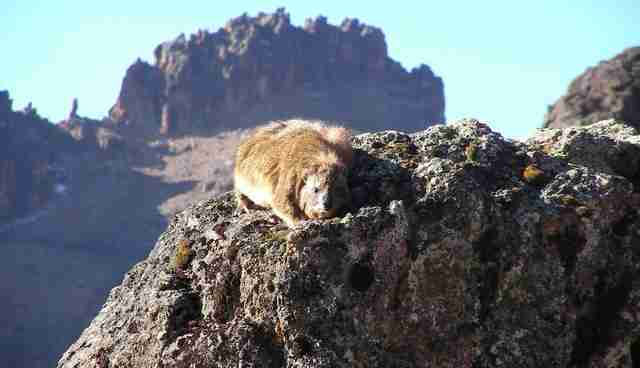 And here's another surveying the landscape high up in Mount Kenya. 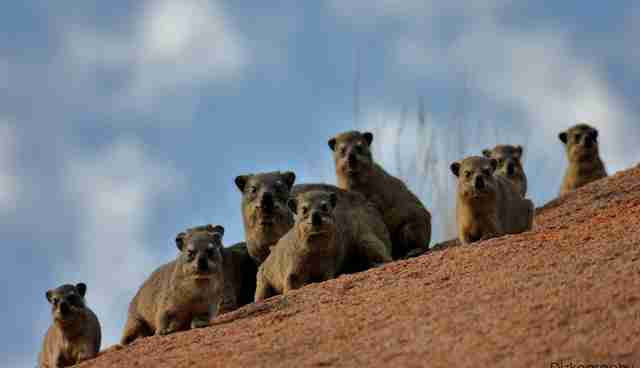 Hyraxes are social little fellows, and they hang out in groups of two to 26. 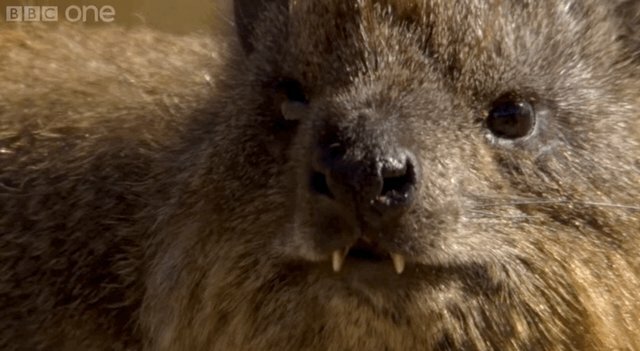 Here's a whole gang of them! 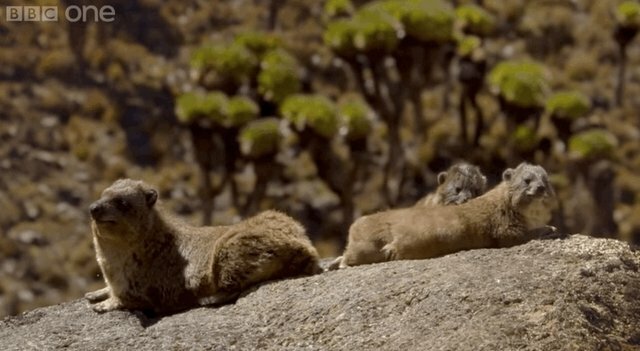 Their favorite past-time is sunbathing in the breeze on ... you guessed it, rocks. 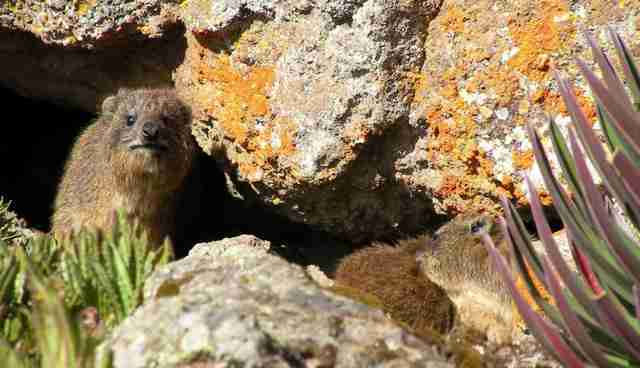 Yeah, rock hyraxes know how to live the life. 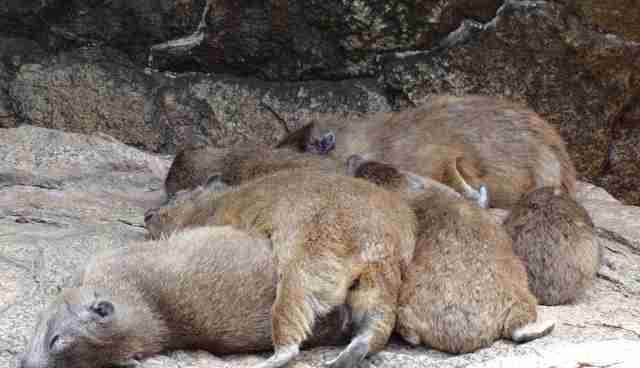 They also like to sleep all piled up on top of each other to keep warm. 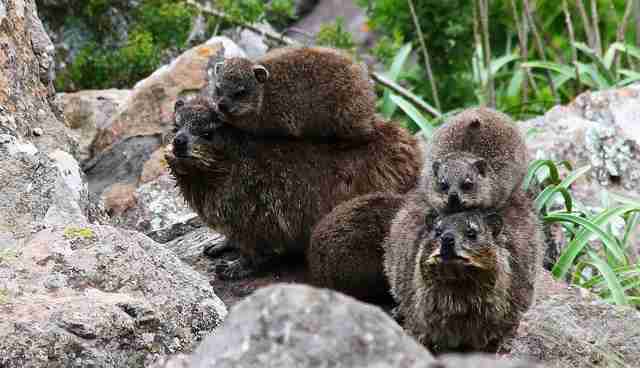 Hyrax snuggle party! 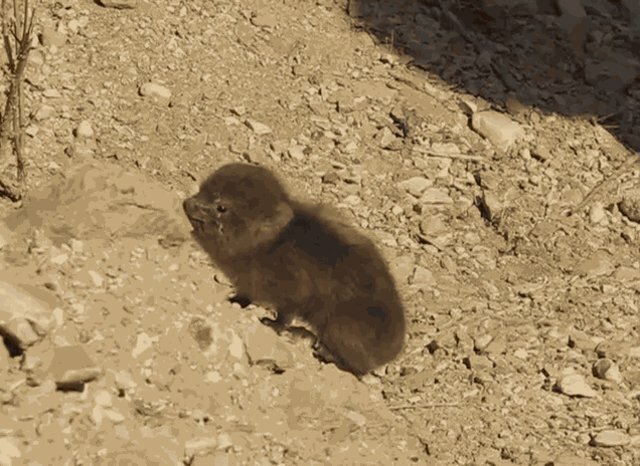 As babies, they're little round furballs of fluffy perfection. 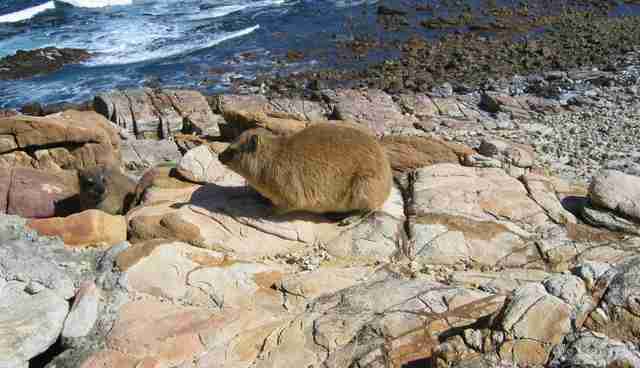 But they still manage to scamper up cliffs like a champ. 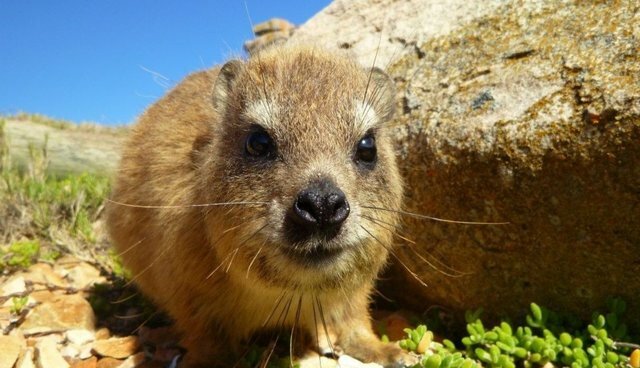 Finally, although humans hunt them and encroach on their habitat in some places, hyraxes are currently considered a least-threatened species. 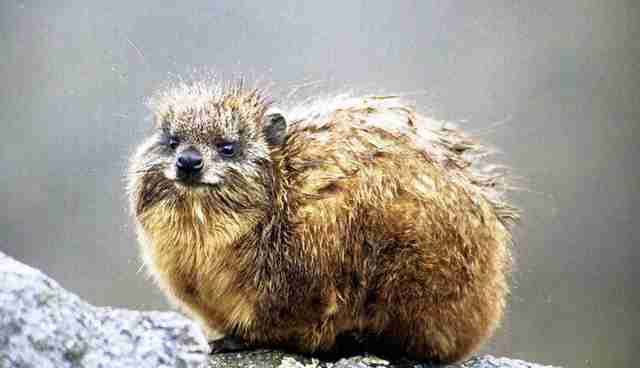 So rock on, rock hyraxes! 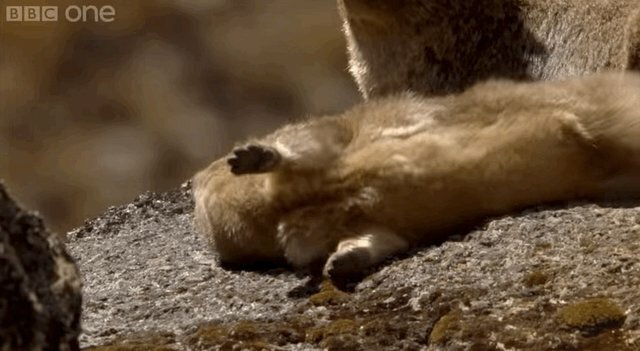 Just keep on rockin' and rollin'.